A lifelong resident of Kenosha, Keith Meyer has been an active businessman and entrepreneur in his community. 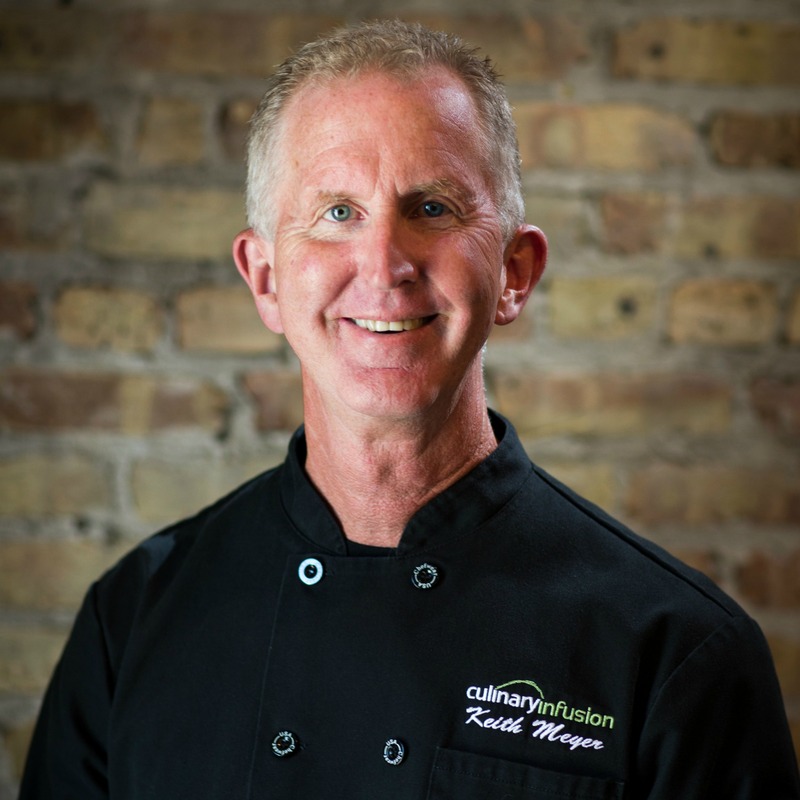 Since joining the family business in 1975, Keith has actively worked to increase sales and grow Culinary Infusion to a highly acclaimed catering business which was voted #1 Kenosha’s “Best of” the past six years. Having the opportunity to work and learn under the guidance of chefs from both Chicago and Milwaukee, Keith heightened his culinary skills and expanded his range of cooking techniques and methods. He is responsible for the training and development of the off-premise culinary team. He oversees the planning, operation, and execution of event kitchens and manages all aspects of back-of-the-house staff. Keith has been recognized by numerous local organizations for charitable work including receiving the “Helping Hands Award” by the Kenosha Boys & Girls Club.